Today’s “Random Act of Christmas Kindness” goes to one of my blog followers who subscribe to my blog updates by email. 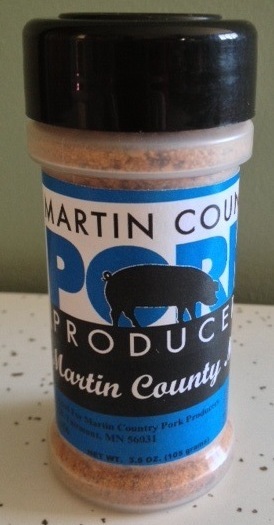 I randomly drew a name and the lucky winner will receive a container of Martin County Magic Seasoning. This is the best seasoning (okay, I am biased!) and was developed by pork farmers from Martin County, Minnesota. Our local grocery store meat counters (HyVee and Fareway Foods) use it regularly to season their pork. Our local county fair also uses it on all the pork that is grilled for fairgoers. Thank you to my email subscribers!